GREENWOOD VILLAGE, Colo., March 20, 2018 /PRNewswire/ -- Alert your taste buds! 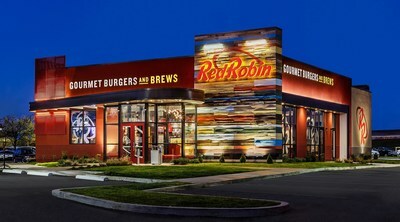 Red Robin Gourmet Burgers, Inc. (Red Robin) is two weeks away from bringing craveable gourmet burgers to Sunset Valley, TX. Located in the Sunset Valley Village Shopping Center off of Hwy 290/Brodie Lane, on the corner of Brodie Lane and Earnest Robles Way, the newest Red Robin Gourmet Burgers and Brews® restaurant will open on April 2 at 11 a.m. To help celebrate the grand opening of the new restaurant, Red Robin will donate all sales of its signature Freckled Lemonade® from April 2 through April 9, to its national charity partner, Alex's Lemonade Stand Foundation, a non-profit organization dedicated to finding cures for all kids with cancer.